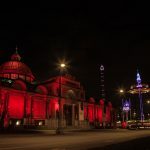 House of Industry celebrates and honors the start and the end of the Chinese New Year by lighting the building in red. 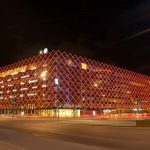 In the occasion of the EU’s Chinese Tourism Cooperation Year 2018, the installation will light red this evening. 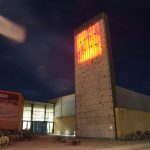 The Deamon, Fatamorgana, The Golden Tower, the Chinese Wall, Vertigo and the Roller coaster is lit up in red as a gesture to the EU-Chinese Tourism Year 2018. 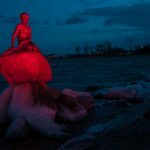 In the occasion of the EU’s Chinese Tourism Cooperation Year 2018, the Little Mermaid was lit up in red on February 27.